Home Education Will Japan Rule the World Again in Education in 2014? 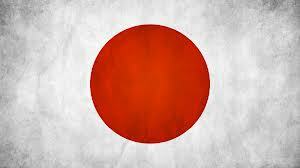 Japan tops World Top 20 Education pre- poll ranking for 2014. The World Top 20 Education Poll’s official 2014 rankings won’t start until June, but the poll’s publisher NJ MED, wanted to start with a fresh start, and allow students, teachers and parents worldwide to participate in help predicting who should be ranked in the top 20. Japan’s education system outperformed 190 other nations last year, in NJ MED’s first ever ranking of countries education systems, based on five developmental levels for students, starting with early-childhood enrollments, international test scores in reading, math and science for primary education, teenage high school completion rates, and post secondary college graduations. Japan edged out second place South Korea by 10 points and the world’s perceived number one country in education, Finland, by 39 points in last year poll. This year countries like the United Kingdom, the Netherlands, and the United States may move up in the ranks. The World Top 20 Education ranking system’s new pre-poll format adds another dimension to the most accurate measure of a nation’s educational level. With a public selection process and weighting in the amount a country invests in education, the final poll is going to look quite different. With a country, like India, which won the online international students, teachers and parents vote, was not enough to make the World Top 20 Poll’s first quarter rankings. 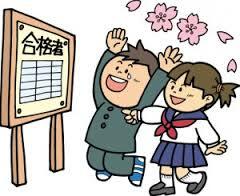 Japan’s education system was ranked number one in last year’s World Top 20 Education Poll, with 87 points. Japan also ranked in the top 5 in four of five educational developmental levels – 3rd and 4th in primary education proficiency scores, and 2nd in both high school and college completion rates. They spend $10,596 annually to educate each student, and 5.5% of their GDP on national education. Last year, the UK finished third in the World Top 20 Education Poll. They’ve moved up one spot in the first quarter rankings for this year. Mainly, because their country invests more in education then South Korea, who was the runner-up in last year’s poll. The UK spends 4.5% of their national wealth on education and an above international average of $10, 878, per student annually. England has a slight edge over South Korea for the second spot in the World Top 20 Education Poll’s pre-poll predictions. But the gap between the UK and Korea is slim. South Korea’s success in last year’s poll included finishing first in two educational developmental levels – primary education for students 5 to 10 year olds and college completion rates. Their success in spending less and getting more does not translate to a country’s overall investment in education. South Korea spends the international average amount of $8, 198 per student annually and 3.3% of its GDP on education. Which effects their point total in the pre-poll rankings. The Finland education system, is believed to be the best in the world by many educators. But in reality, their student’s results are average above primary education. That was reflected by them only ranking sixth overall in last year’s World Top 20 Poll. They’ve advanced two places in this year’s pre-poll rankings. With Finland investing 4.0% of their nation’s GDP on education, and their commitment to having the world’s best teachers, in addition, to spending a respectable $10.157 per student annually. When projecting for 2014, we have to be careful to not put too much stock in last year’s rankings. The Netherlands finished 8th and forty-one points behind first-place Japan, which certainly did not raise expectations for their country for this year. But the Netherlands’ spot in this poll is more about where they are going as a nation rather than, where they’ve been. In analyzing their investment in education, Holland spends $11,439 a year to educate a student and uses 5.0% of its GDP on education. Norway ended 2013 ranked number 13, but has moved up 7 spots in the first quarter rankings for 2014. Norway’s Government spends 6.8% of their nation’s GDP on education, the third highest amount among any country ranked in this poll. Their cost per student ($14,081), the second highest in the top 20 poll, certainly shows their investment in education, and should assure them a top 10 finish in this year 2014 final poll rankings. Coming off last year’s ranking in the World Top 20 Poll, as the 16th best education system, will make a hard-pressed to end 2014 in the top half of this year’s poll. Denmark, moves up 9 spots from last year’s rankings and will be in the mix to finish in the top 5, if their student outcomes can match the investment the country makes in education. Denmark spends 7.8% of its GDP, the most by any country in the top 20 poll. They also invest the third highest amount to educate their students, $12, 848, per year. Races up 6 spots to the number 8 ranking in the pre-poll. Can they keep their position in the finale poll rankings? Belgium seems to have all the ingredients to challenge for a top 10 finish. Their nation spends $11,028 a year to educate their students, financed by one of the three communities: Flemish, French and German-speaking. That accounts for 6 percent of their GDP. Belgium’s greatest challenge will be how well each of their communities progress despite the differences in language and culture. Despite finishing 7th in last year’s poll, Canada drops two spots in this year’s pre-poll rankings to number 9. Canada continues to climb the ladder in the world of academics and remain as a progressive nation. But like Belgium has a divided education system ran by provinces, with different structure and measurable outcomes. Nevertheless, the nation stands as one, with the countries overall investment in education at nearly 5 (4.9) percent of its GDP, and over $10,000 ($10,125) spend to educate each student. As one of the world’s richest nation, the US finished a disappointing 60 points behind first place Japan in last year poll rankings. Those results don’t reflect the amount that is invested in education per student ($15,171), which is the most in the poll and second highest in the world. That combined with 5.5% of the nation’s GDP allocated for education, demands better student outcomes. Will the US maintain its top 10 pre-poll ranking or fall back down to the bottom in the poll’s results? The number four ranked country in last year’s World Top 20 Poll, Singapore falls to number 11 in this year’s pre-poll selection. For now, Singapore is a good example of a school system that does quite well on performance but doesn’t reach the top because of disparities, on the amount they spend per student annually (estimated at$4,210) and with only 3% of their GDP going towards education. Russia’s education system finished in the top 5 in last year’s poll. Like Singapore student performance isn’t an issue for Russia, but projecting how high they will reach in this year’s poll won’t be easy. They invest an above average of $9, 313 per student and spend almost 4% of their GDP on education. However, with recent social unrest in the country, it may be touch to repeat a top 5 finish in 2014 rankings. Another year, another challenge to make a Top 10 finish. After losing 4 spots in its pre-poll ranking, Ireland remains solid in its nation’s education commitment. Ireland spends 4.9% of its GDP on education and $10,685 per student annually; one of the highest in Europe. With the same Power Point Ranking as Singapore and Russia, Ireland may have an opportunity to end 2014, above both nations. This Pacific island country finished 2013 three points short of having a top 10 finish. New Zealand invests 6.1% of their GDP in education, making it the fifth highest, among the nations ranked in the Top 20 Poll. New Zealand also spends $8,192 per year to educate their students, and there’s little doubt that their climb to a top 10 finish can continue in 2014. As mentioned with Singapore, Russia and Ireland even-up, the gap in a Top 10 finish in last year’s ranking to falling out of this year’s Top 10 ranking is very small. For now, Singapore, Russia and Ireland are slightly ahead of Israel in making it back up. Despite investing nearly 6% (5.9%) of its GDP on education, the cost per student of $6,537, is the deciding factor between the nations. France finished 2013 ranked number 19, and have moved up 3 spots in this year’s pre-selection poll. France also was ranked number one last year in early-childhood enrollment with ever child under-4 required to attend school. With the nation spending $10,182 to educate each student and 5.6% of its GDP on education, we should expect them to even finish higher in the World Top 20 finale poll ranking in December. Japan is the early favorite to win the 2014 World Top 20 Poll, as the country with the best education system, but South Korea and Singapore, two other Asian countries aren’t far behind. China, however, quest to close the gap is widening. China finished 42 points behind Japan last year, and 61 points behind them in the pre-selection poll. China invests 4.3% of its GDP on education and spends an estimated $8,611 per student annually. Their primary education tests scores in international ranking are above average, but China’s ability to manage the vast size of its country’s rural areas will define how high it can climb in the World Top 20 Poll. Germany’s education system is ranked the tenth best in Europe, two spots lower than last year’s ranking. With Germany investing 4.5% of its GDP on education and spending an estimated $9,299, the country should rank higher in the poll. With Portugal having the highest high school (secondary) completion rate in last years poll, the door is open for Portugal to make a run at moving up the 2014 World Top 20 final poll rankings. Despite spending less than the average European country per student annually $8,009, Portugal invests 5.2% of its GDP on education, which exceeds most of the countries ranked ahead of them. The new comers to the World Top 20 Poll, Sweden spends the sixth highest amount to educate their students annually ($11,734), of the countries selected in the poll, and more impressively invests 6.6% of its GDP on education, which is the fourth highest. Just like the other Scandinavia countries in the poll – Finland, Norway and Denmark – Sweden has put stock in building a strong education foundation for their nation.